The Silver Dragon Backflow Incense Burner creates a dramatic smoke effect. 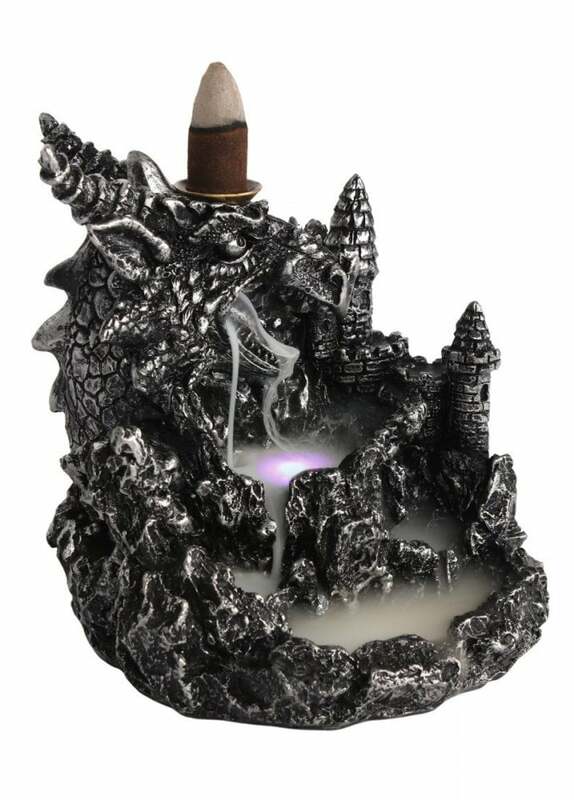 Light the incense cone and watch the smoke cascade downwards, through the dragons nose in a mesmerising waterfall effect to pool at the bottom. The colour changing light adds to the atmospheric design.